Database Systems Corp. provides of Contact Center technology including inbound and autodialer phone systems and contact center software. DSC also offers comprehensive outsourcing services using our contact centers located in multiple locations. 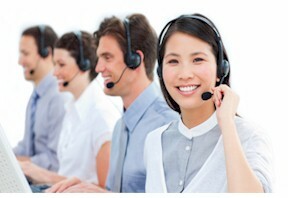 DSC provides a comprehensive contact center CRM package called Telemation. This customer relationship management software tool is used by companies in many industries to manage their customer and prospect database. You can also connect your employees to our phone systems using one standard interface with our contact center software solution. Your existing applications can be significantly enhanced by placing computer telephony integration phone functions and features within your existing desktop programs, whether they are designed for the Web or Windows. Or simply use our stand-alone Softphone in conjunction with these existing applications. Contact DSC to learn more about our contact center software, services and systems. DSC offers both an affordable and expandable contact center phone system. This modern system includes a Windows PC with Dialogic computer telephony cards. When combined with our comprehensive call center software, these phone systems can perform both inbound call distribution as well as outbound message broadcasting campaigns. The WIZARD system is our entry level phone system that supports up to 48 analog phone lines. If your contact center requires more lines to process inbound and outbound calls, our PACER phone system can be used to process calls using hundreds of digital phone lines. Using our multiple location call centers, DSC offers both inbound and outbound Contact Center Outsourcing services that automatically answer calls and broadcast phone messages. Our inbound call center processes phone calls using our own interactive voice response (IVR) system that processes incoming calls without an operator. Our outbound contact center services include message broadcasting that allows you to automatically transmit phone messages to customers, employees or the general public. Contact DSC for a FREE analysis and quote and to learn more about our contact center software and services.